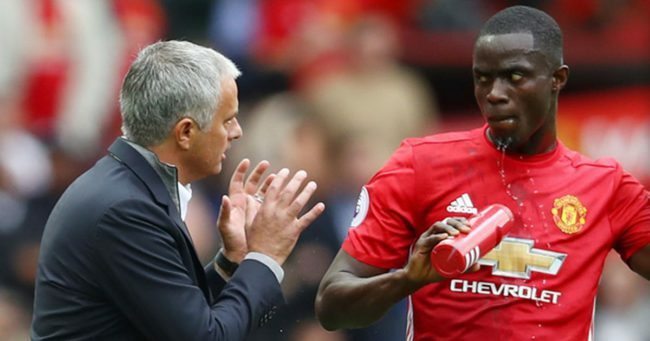 Manchester United and Jose Mourinho completely negated Liverpool’s attack in the Saturday game at Anfield that has been described as Mourinho playing negative football to stifle the tactics of the opponent yet again. The Red Devils have been flying high all season but strangely, we didn’t attack what is a fragile Liverpool defence. In a scoreline reminiscent of last season’s dour game, United got a point but many felt if United had attacked, given our excellent start to the season, we might have won. However, we got the point, and maintained our unbeaten start. We take a look at some lessons we learnt from the match. On a day that our nearest rivals, Manchester City decimated Stoke City 7-2, Jose reverted to type in a match that didn’t live up to the pre-game intensity that was touted. Liverpool consistently overran our midfield and we have David de Gea to thank for our point. For all his tactical brilliance, Jose over the years has always prioritised safety in big matches to going gung-ho. Anthony Martial and Henrikh Mkhitaryan, two of our best players this season were ineffectual, as Jose’s tactics stifled them. For all it’s worth, Jose should be more adventurous sometimes, as it is not United’s way and tradition to keep defending against big teams. At some point at Anfield and during the course of this season, there seems no goalkeeper in the whole of Europe that can lace the boots of David de Gea. United will do well yet again to keep him from the clutches of Real Madrid next summer. In the first half, he made an unbelievable save from Joel Matip which could have changed the complexion of the game. Liverpool would have felt as though they were playing against three players in goal, as they peppered United goals without any joy. His current contract of £200k-a-week deal expires in 2019 and he must be persuaded to stay at Old Trafford. He has seven cleans sheets in the league this season, in just 8 games. Playing for Everton and Manchester United is quite different but Romelu Lukkau was terrible in the clash on Saturday. He was lucky to still be on the pitch at full-time after escaping a red card. He also missed a glorious chance in the first half that a striker of his quality should be putting away. He has scored 11 in 11 this season but for £75m, should stand up to be counted. His runs were ineffectual and while he suffered for the negativity of Mourinho, he should be doing better and a number of pundits have laid into him for his average performance. We are still unbeaten but Anfield threw in a lot of questions that must he answered soon.